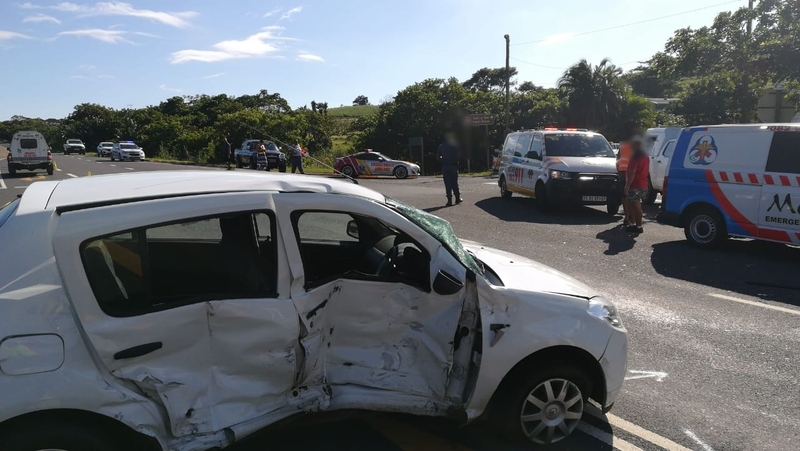 Netcare 911 responded to reports of a collision on the R61 in Trafalgar on the KZN South Coast. Reports from the scene indicate that six people were injured in a collision between a light motor vehicle and a light delivery vehicle. All the patients were treated on scene before being transported by ambulance to hospital for further treatment.